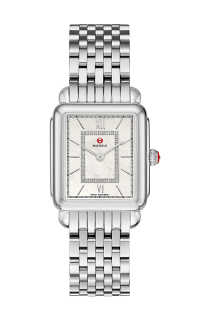 MICHELE's iconic Deco is reimagined with a sleek, refined silhouette. Lightweight and luxurious, the slim Deco II Mid timepiece features 40 hand-set diamonds on the white mother-of-pearl dial. 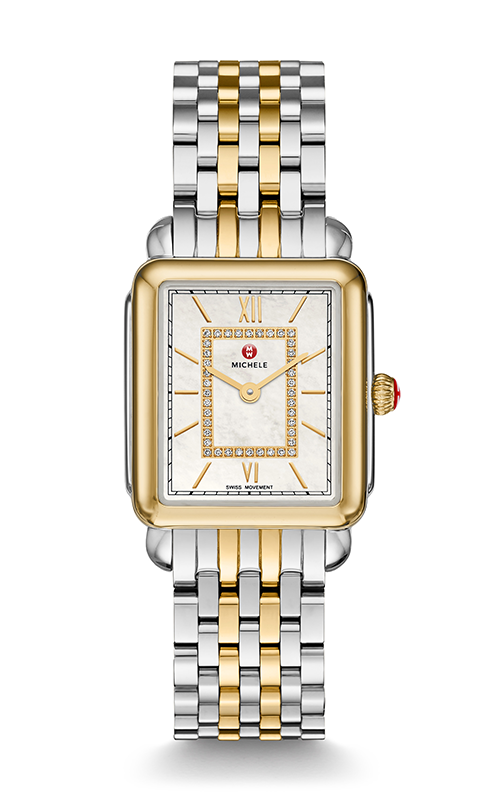 The two-tone bracelet is interchangeable with any 16mm MICHELE strap.